Have gotten on a kick designing with charm squares – something I haven’t gotten into before. 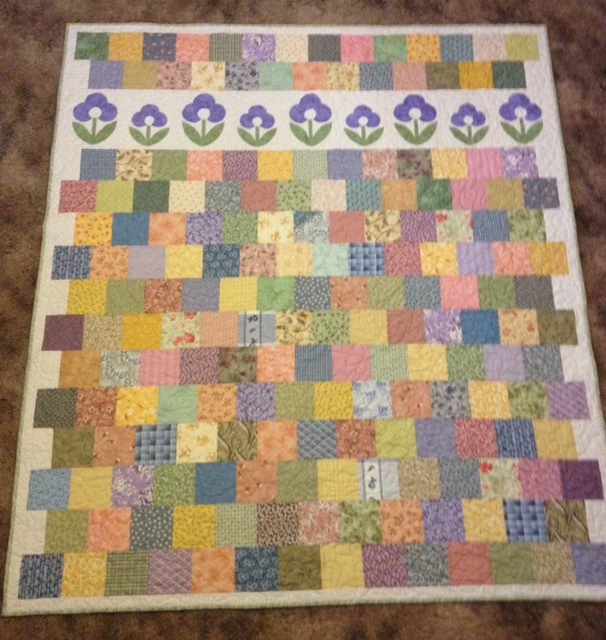 I dove into my scraps and designed this 66×75 lap quilt with 189 charm squares and some fun spring applique. I like!